There’s no denying that Aruba is paradise, especially if you enjoy miles of white powdery sand and endless days of sunshine. So I was thrilled to leave New Jersey’s mundane temperatures for a couple of days basking in the Caribbean sun at the Holiday Inn Resort Aruba-Beach Resort & Casino. After a three-and-a-half hour JetBlue flight that ended in applause by the overly excited passengers, the sun’s rays that suddenly poured through the small windows of the plane reassured me that Aruba was indeed a sun-kissed beauty. But I had no idea what was in store once I shuffled through the small aisle of the aircraft and planted my feet on the carpeted grounds of the Queen Beatrix International Airport. 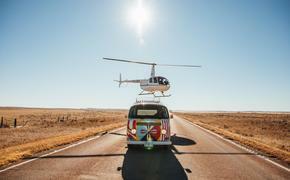 The aviation hub, which is as colorful as the beautiful island, is spotted with different elements that introduce guests to the country’s culture while welcoming back locals as well as repeated visitors and openheartedly greeting newcomers like me. 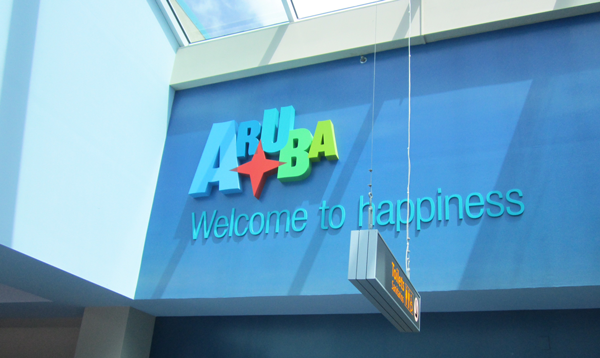 The first indication of Aruba’s generous hospitality was a sign that read “Aruba” in bold letters and colors and “welcome to happiness” neatly placed under the country’s name in blue, which became quite noticeable from the moment travelers ascended the escalator on their way to baggage claim. 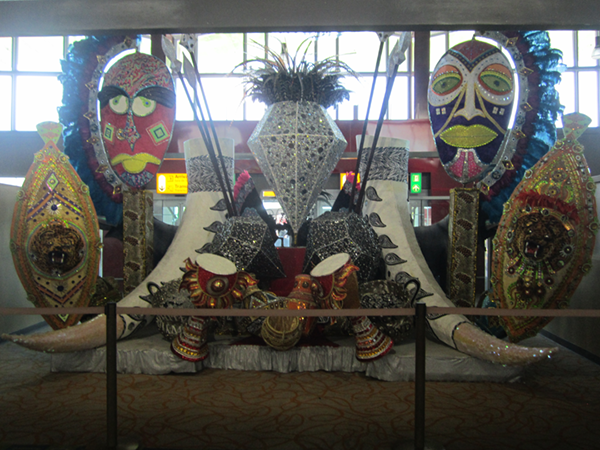 Other significant cultural sightings were the festive decorations that were located by the exit that seemed to portray a carnival theme that gave a hint to the way Arubans get down. But I guess I’ll have to wait until the sun retreats behind the Caribbean Sea to witness the wild side of the island (after all it was still pretty early). Heading to the Holiday Inn Resort Aruba-Beach Resort & Casino with other members of the Holiday Inn Resort press trip, I saw ample evidence of the country’s desire to be completely green, with an energy-efficient supermarket and solar projects noticeably underway. 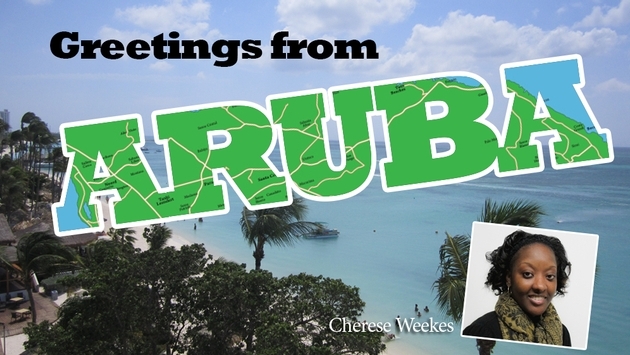 After passing through Aruba’s downtown area that glimmers with brightly colored structures, we finally reached our home for the next three days. 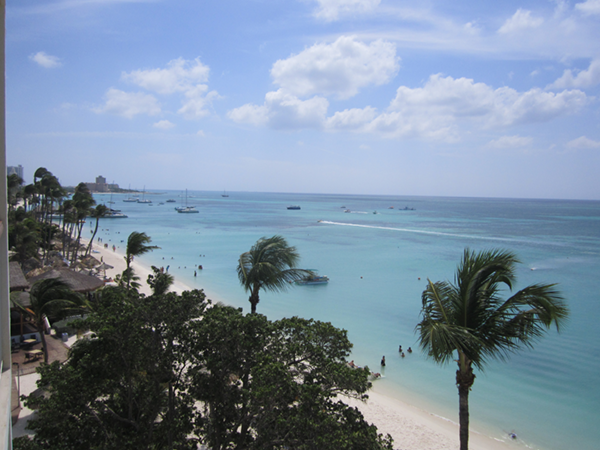 Once I arrived at the newly beautified Holiday Inn Resort Aruba-Beach Resort & Casino, I began to observe the country through the eyes of its beloved locals. I was greeted with the signature mojito that came to be the best concoction for quenching my thirst brought on by Aruba’s tropical climate. From the spacious contemporary lobby I was escorted to my room which is blessed with such idyllic beachfront views anyone would want to stare at the endless twinkling sea for hours. Nevertheless, I was disrupted from my reverie when hunger began to settle in. So I met my group for lunch at the resort’s Sea Breeze Restaurant, where my appetite was delightfully appeased by the fisherman sandwich and Caesar salad as the rhythm of the ocean provided music while we ate. 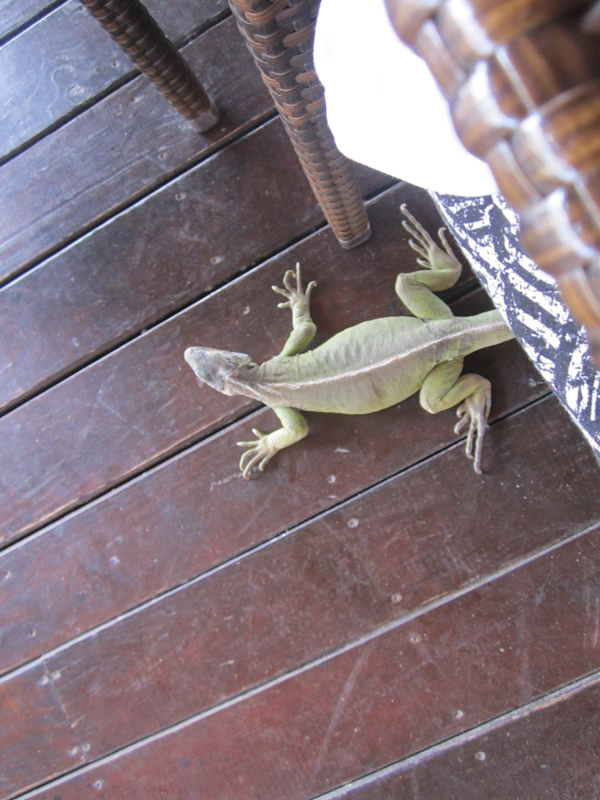 However, our calm lunch was interrupted by a few of Aruba’s reptile residents, who looked like they were due for a tasty snack. Soon after we were led through the resort’s appealing attractions by Luigi Wix, the resort’s sales manager, who brought to our attention that guests can opt for an all-inclusive experience or conventional hotel stay when making their reservations at the Holiday Inn Resort Aruba-Beach Resort & Casino. He also ushered us through the spa and gave insight on its variety of treatments like couple massages, manicures and pedicures as well as facials. We were also invited to explore the fitness center and shopping areas that are located on the property. And when guests are seeking a bit of lady luck, he directed us towards the casino, which offers plenty of opportunities to win big with game tables and slot machines. After the tour of the resort, I retreated back to my room with my newfound memories intact as I blissfully stare out into the dazzling Caribbean pondering what mysteries await in Aruba’s nightlife.